Perfectly packaged, arrived without any issues. Cant wait for the next box! Got the plant pictured in the ads for the first month box. Came with a very nice planter and instruction card. I really look forward to next month! Everything was perfectly packaged. The plant and pot both came in perfect condition which is amazing considering I live in the frozen tundra. 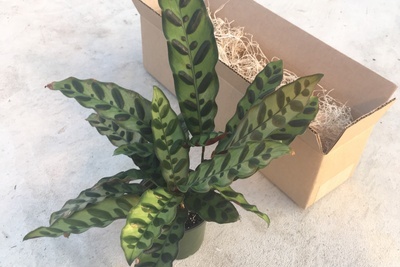 The plant is beautiful and healthy and I’m so excited to add it to my collection! Ordered another for my sister-in-law. Process was easy...look forward to getting my own subscription sometime next month! Gave this as a gift for my sister's birthday. She said the plant showed up looking beautiful and that the pot was really nice. I plan to order for myself in the future. Thanks Plant Club!